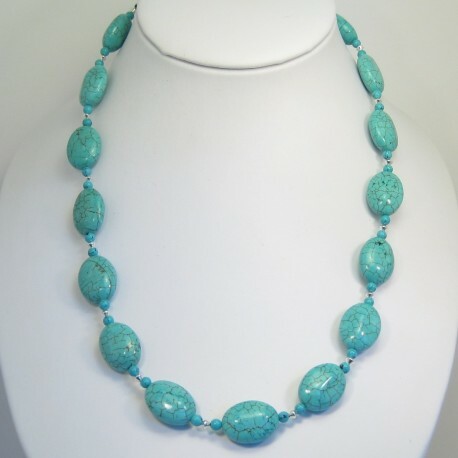 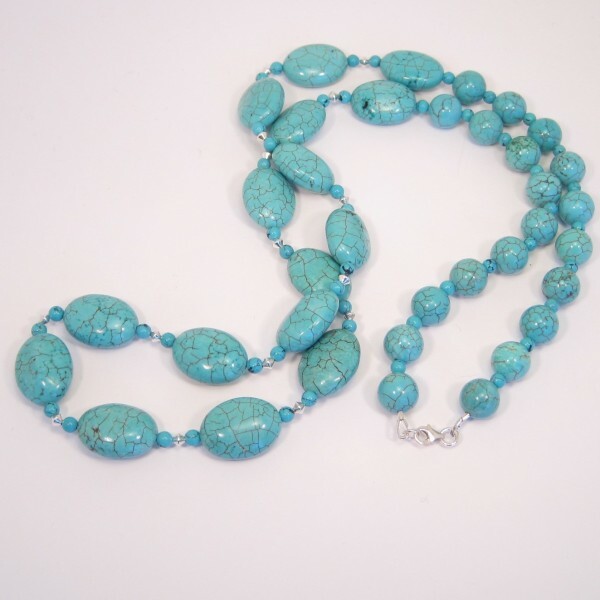 This long elegant handmade Turquoise necklace can be worn dressed down, with jeans and a t-shirt or dressed up, with high heels and a fabulous dress. 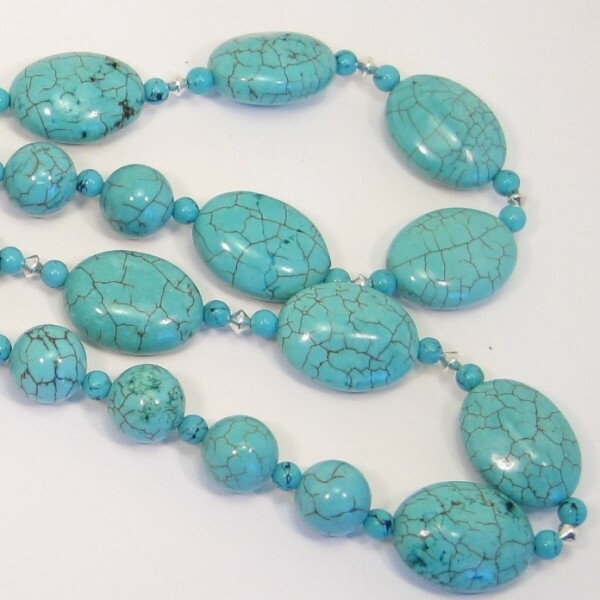 A unique necklace for any occasion. Order this necklace today by clicking the ADD TO BASKET button.